Dermatologists recommend using a daily facial moisturizer as part of your daily skincare routine. It can hydrate your skin today, while protecting it for more beautiful skin tomorrow. Facial moisturizer can be used on its own or together with serum, toner, acne treatments, makeup, and any other products you use on a daily basis. Facial moisturizer can soften the skin and form a barrier to protect your skin from environmental damage. It can enhance your skin's natural moisturizing capabilities, providing you with the softest, smoothest skin possible. 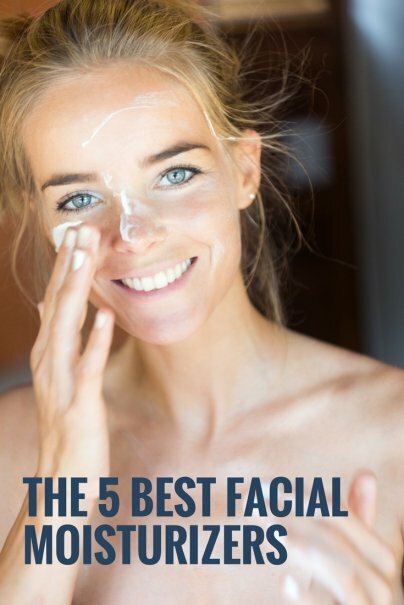 There are unique options available for each different skin type and some moisturizers can even address specific skin conditions. Once you have found the right facial moisturizer, make sure to apply it twice daily after cleansing, on both your face and neck, as the neck is the first area of the body to show signs of aging. It is also important to choose a moisturizer with UV protection, or apply a sunscreen on top to further protect your skin from the damaging effects of the sun. CeraVe is a trusted brand, developed with dermatologists, and as Amazon’s #1 new release in facial moisturizing lotions, the CeraVe Moisturizing Facial Lotion AM, SPF 30 contains sunscreen to provide broad-spectrum daily protection against sun's damaging UV aging and burning rays. The daily-use, non-comedogenic moisturizer helps to protect and restore the skin, keeping it younger and healthier looking. It helps repair damaged skin with ingredients not commonly found in typical moisturizers. The ceramide rich formula contains niacinamide and hyaluronic acid to reduce redness and repair and restore the skin. The light and silky lotion uses patented multi-vesicular emulsion (MVE) technology to release the potent ingredients over time, allowing them to penetrate deep into the skin to maintain a healthy skin barrier. With SPF 30 to help protect your skin, you won’t need to worry about applying sunscreen over this. It is fragrance-free, making it ideal for both women and men of all skin types, from normal to dry, including acne-prone skin. It is also ideal for all ages, including mature skin, and was even a top pick by the American Grandparents Association. It is one of the top facial moisturizers according to ConsumerSearch and is also an Allure pick for the best moisturizers under $20. In fact, it is so highly rated with professionals, beauty gurus, and users alike that both the AM and PM creams made our list for the best facial moisturizers. As Amazon’s #1 best seller in facial tinted moisturizers, the Aveeno Positively Radiant Skin Daily Moisturizer, SPF 15 has a fast-absorbing formula that leaves skin soft and smooth. Gentle enough for sensitive skin and daily use, this oil-free, hypoallergenic, non-comedogenic moisturizer won’t clog pores and is clinically proven to improve skin tone and texture and reduce skin discoloration in as little as four weeks. With clinically proven total soy complex and natural light diffusers, this daily moisturizer immediately reflects light to leave you with a nice glow, by highlighting the skin's natural radiance. The soy proteins work to reduce blotchiness and discoloration, while helping to reduce the appearance of fine lines and wrinkles. It contains SPF 15 UVA/UVB sunscreen to protect against the damaging effects of sun. The Aveeno Positively Radiant collection contains a range of products designed to help reveal your most radiant skin. This daily moisturizer can easily be combined with other products from the line. Recommended by dermatologists for over 60 years, AVEENO uses select natural ingredients because of their advanced benefits and ability to deliver visible results. CeraVe Moisturizing Facial Lotion PM is a daily use, non-comedogenic, facial moisturizer that can help to protect the skin all night, keeping it younger and healthier looking. The ceramide-rich formula contains niacinamide and hyaluronic acid and provides essential ingredients that penetrate deep into the skin to moisturize and nourish skin throughout the night while locking in moisture. It helps repair damaged skin using ingredients not commonly found in other moisturizers. Its patented multivesicular emulsion (MVE) technology allows the ingredients to penetrate deep into the skin to hydrate and nourish, releasing the essential ingredients over time. It is fragrance-free, making it ideal for both women and men of all skin types, from normal to dry, including acne-prone skin. CeraVe is a trusted brand, developed with dermatologists, and CeraVe is so highly rated with professionals, beauty gurus, and users alike that both the AM and PM creams made our list for the best facial moisturizers. It is also one of the top facial moisturizers according to ConsumerSearch. 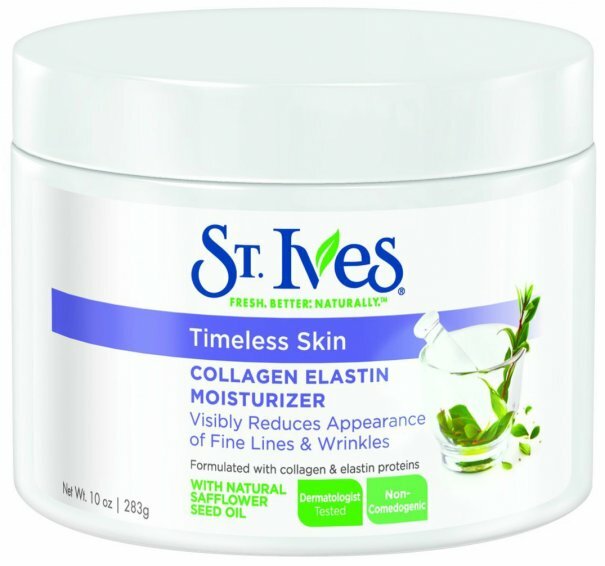 As one of Amazon’s #1 most popular facial moisturizers, St. Ives Facial Moisturizer, Timeless Skin is made with collagen and elastin proteins and enriched with natural proteins, glycerin, and safflower oil. It is formulated to reduce the appearance of fine lines and wrinkles in as little as seven days of regular use. St. Ives formulas use effective, natural ingredients for visibly softer, smoother, younger looking skin. The creamy moisturizer uses all-natural moisturizers to combat dryness and improve elasticity, while hydrating and protecting your skin. The hypoallergenic, dermatologist tested, non-irritating lotion is safe and gentle on all skin types and can be used daily to hydrate, tone, and firm the skin, while naturally preventing the signs of aging. A little goes a long way, so the affordable 10 oz container should last you a long time. 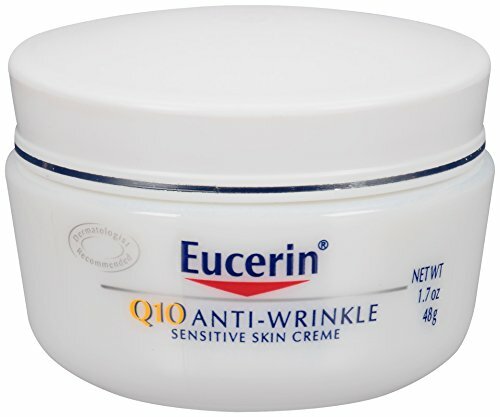 Eucerin Q10 Anti-Wrinkle Sensitive Skin Creme is thick, creamy, and extremely nourishing. It has a gentle, non-irritating formula, which reduces wrinkles and other signs of aging, while firming and moisturizing the skin. It is ideal for dry, sensitive skin and can reduce the look of wrinkles and the early signs of aging without irritating the skin. It helps to replenish Q10, a naturally occurring enzyme that defends against skin aging and is vital to healthy skin. Together with Vitamin E and Beta-Carotene, it also forms a powerful antioxidant complex to protect against the damaging effects of free radicals. This fragrance-free, alcohol-free, non-irritating lotion won’t clog pores and can be used everyday, on its own or under makeup. The Q10 creme has outstanding customer reviews online and promises visible results within five weeks. It is also ideal for all ages, including mature skin, and was even a top pick from the American Grandparents Association. Eucerin is a trusted brand and the various products topped a range of online reviews and independent review sites, including the Daily Protection Moisturizing Face Lotion, SPF 30, which is an Allure “Best of Beauty” Award Winner. And those are our recommendations for the best facial moisturizers. As always, be sure to check Wise Bread's Buying Calendar to learn when and how to buy just about anything!